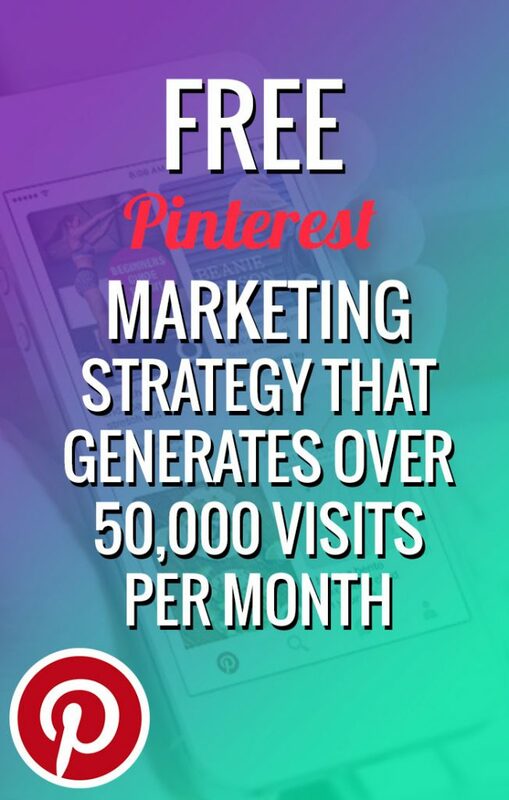 This Pinterest blog post reveals my entire Pinterest marketing strategy that is generating over 50,000 visits and thousands of leads per month to my websites.I have taught this method to other marketers who have replicated our success in different niches. So, this Pinterest marketing strategy truly works if you follow the plan and stick with it. This post is possibly the longest blog post I've ever published at over 6600 words, to say it is comprehensive is an understatement.To help you absorb this Pinterest marketing strategy, I have created a podcast episode that covers the entire strategy in detail. You can download it, listen to it on the go, or re-listen to the Pinterest strategy while you are commuting or walking the dogs, etc. Whether you dive in with the podcast above or the written version below, this is a great alternative to the overpriced Pinterest marketing courses that promise pinfinite growth. It is also a great alternative to those who claim to give you the power of pinning if you just pay them hundreds of dollars. Here is a complete strategy and all the tools and resources you need to start driving relevant traffic, leads, and customers from Pinterest, fast! The best part about this strategy? It is a 100% free pinterest marketing course. You obviously understand the importance of traffic and understand that without traffic, your funnels will remain empty and your email list will not grow. Your online business will eventually die. With the right sources of traffic, however, your list will grow, you will connect with new customers, and you will ultimately begin generating revenue. Aside from search engines, organic social media traffic is the best traffic in the world. Notice how Pinterest is generating more traffic than Facebook? This is a HUGE shift and is the result of new policies from Facebook attempting to force people into Facebook Pay Per Click Advertising. It also resultsin Pinterest continuing to grow as a social media network and a valuable traffic source. 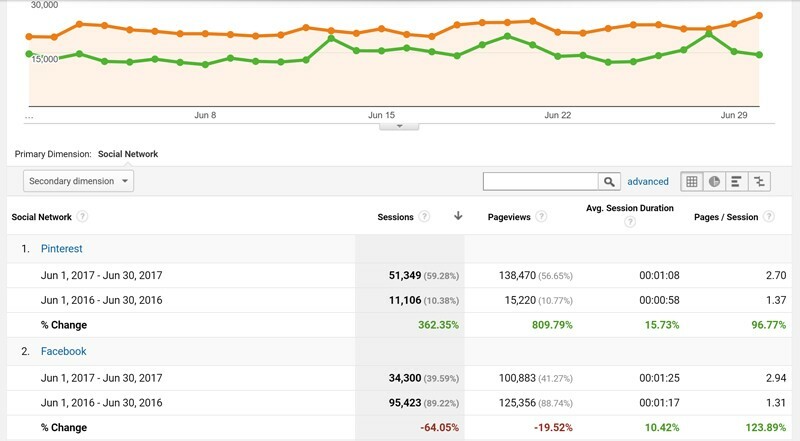 This clearly shows the greater trend seeing that Facebook organic traffic is down 64% and Pinterest traffic is up 362%. One huge lesson I have learned is not to try and 'buck the trend' but go with the flow.As Facebook tightens organic reach, I shift my efforts and energies to media platforms that are rewarding engaged publishers with traffic. Today, this meida platform is Pinterest! The goal of this blog post is to save you money and literally "hand over the keys to the castle" of a proven kickass Pinterest marketing strategy we have used to generate thousands of leads and sales from Pinterest. After reading and implementing the strategy laid out here, you don't need to buy any overpriced courses that promise 'Pinfinite growth' you simply need to work this system. This Pinterest marketing post is a summary of the ideas covered in a lengthy video interview I did with my wife Melanie, who is crushing it with this exact method. Ready to jump in on Pinterest marketing and get started? Great! 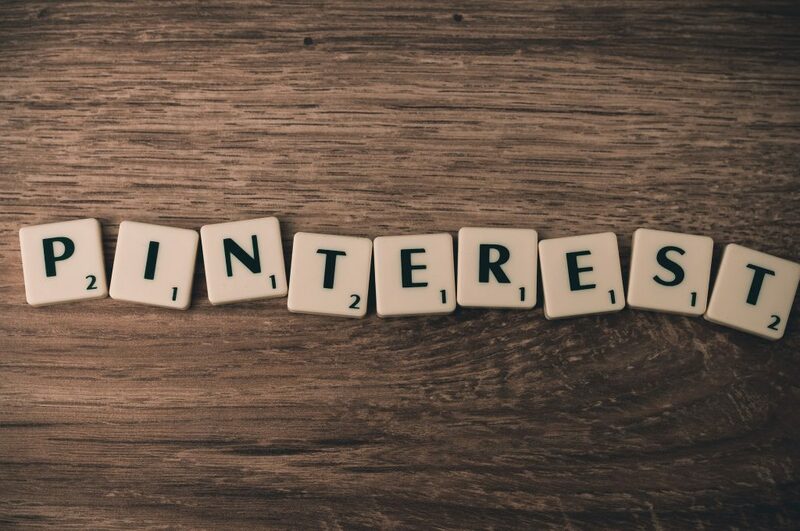 If you're not a Pinterest user, you may be asking yourself that question,and the simple answer is:Pinterest is a visual search engine.Instead of searching in Google where you are given a Google text search results page, on Pinterest, you get a visual layout of images called pins. Pins are like doors; each pin is a doorway to a piece of content on your blog. We have been usingthe Pinterest strategy for six months now, and we're getting about 50,000 visits per month from Pinterest to our website. 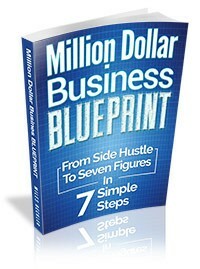 Additionally, that is resulting in thousands upon thousands of leads. Then we taught this strategy you are learning here, below to our friends in New Zealand during our Mastermind in December.They started with no traffic on a new site and started generating 1-5 subscribers per week, almost instantly.After three months of implementing this Pinterest strategy, they're getting 6000 visits per month to their website, and that number is a significant improvement from zero and marks a massive increase in traffic.Plus, they are generating hundreds of subscribers per week now, too. On Facebook, Instagram, or Snapchat, you're really only seeing the content from people who you follow.Instagram has a pretty good explore feature but also comes with the huge limitation of not being able to link to your website from an Instagram post directly. With these platforms, you will generally receive less traffic than the number of followers you have. On Pinterest, due to how their search engine, app,and the network works, you can generate more traffic than the number of followers you have.Meaning there is less friction and more potential to drive traffic with Pinterest marketing than other forms of organic social media marketing. You can follow Pinterest users, but this isn't the most common behavior on the platform. People will generally type in a search query,and all of the results are displayed from different users that you aren’t even following. This means your content can reach the entire Pinterest network even when you are new or have a small following. Users can then pin the results to their boards. When they find a content creator that is continually publishing lots of great pins (or images), they can then choose to follow the user to get updates more easily. Ultimately, Pinterest is an audience growth engine for you.It connects you with new people who you are not yet connected with versus only showing the people you're already connected to like other social networks. On Pinterest, you can publish relevant images that relate to your content marketing and blog posts. You are also able to create small bridges or doorways to your content from the largest visual search engine in the world, and this helps you in two ways. First, you can tap into this new audience that may not know about you and your content.Second, you are creating a web of backlinks from Pinterest to your website,and this can ultimately help your SEO or "Search Engine Optimization" and net you higher rankings in Google or YouTube. This is why the analogy of pins being 'doorways' to your content is so relevant! Each pin introduces new users and the search engines to your site, and by doing so, it is helping drive more traffic, authority, and relevance to your content marketing campaigns. You are about to learn exactly how to structure your Pinterest account in a way to get these backlinks through what Pinterest calls rich pins.An important question for you to consider, first... "Are my people on Pinterest?" The demographics of Pinterest are primarily women and possibly and more importantly, women who have money. The male demographic is increasing on Pinterest, but the 80/20 rule still skews in favor of women. Pinterest has 150 million monthly active users, 81% of which are women.They also have one of the most affluent audiences compared to other social media networks; meaning Pinterest users spend money. This means they are more likely to buy than Facebook users, Instagram users, etc. Therefore, marketing to people who have disposable income is a great way to increase your chances of success! So if your customer avatar is a woman, you have a high likelihood of being successful with Pinterest marketing.Next, you need to understand how people use Pinterest, so you can structure your content in a way that works well on the Pinterest platform. The most common way that people use Pinterest is to create topical boards. A board is simply a grouping of pins relevant to one subject matter. These pins can be images or videos.Here is a simple example of how I could use Pinterest if I were going to refurnish my living room.I would start a new "Livingroom Refurnish" board. As I search the Pinterest search engine for 'modern couch,' I begin browsing through until I find the one I like. Then, I can re-pin that image to my "Living room Refurnish" board. I can then also pin the coffee table I want, the lamp I want, the colors, the flooring, etc. When it's go-time for me actually to execute the redecorating of my living room, I simply go to that board,and I can click through all of those pins (this is how they act as doors!) until I land on the manufacturer's or retailers’ site. Within a couple of clicks, I can order all of those individual pieces to create my new living room. As you can see, people are not only on Pinterest looking around for cool stuff, but they're categorizing things with the intent to buy in the near future. The intent to purchase is often much stronger on Pinterest than it is on other social networks. Your pins within your account are going to be categorized into boards. These boards are up to you to create,and it is completely up to you to determine the number of boards you have. I recommend getting a clear idea about what the main topics are for your business.If your blog is already clearly broken up into different categories, you probably want a board for each of those categories. On this blog, I could have a board for "Facebook Advertising," a board for "Marketing Funnels" a board for "Lifestyle Design," etc.In addition to the core boards that are relevant to the content you publish; what else do you do that is relevant to your business, to your brand, etc. Ideally, you should have at least eight boards minimum to get started. And if you are having trouble thinking of other board ideas, ask yourself... "What are the other things my customer avatar is interested in? "It could be motivational quotes, books, etc. Get creative and be sure to browse around Pinterest to see what the leaders in your niche market and industry have for their boards for inspiration.Feel free to add lifestyle boards too. The goal is not for your Pinterest account to be 100% focused on business; it can be dream boards and dream vacations as well, but it should all still be relevant. My wife's brand is all about connecting with the spiritual side of life and connecting with angels and meditation. So, she has a dream vacations board andalso a spiritual travel destination board where she pins pictures from sacred sites; however, she is also mixing in pins that link back to her articles about Sedona vortexes. Once you have your boards setup, you have the infrastructure or foundation in place, and at this point, you have two different ways to fill those boards up. First is with your own pins and secondly is by repinning other peoples' pins. The benefit of your pins is that you get the links back to your website and content. The benefit with re-pinning other peoples' pins is that you can fill out your boards with high-quality images, fast! With that said, you will be focusing mainly on filling your boards with your own pins since you control where each of those pins links to. You want to have at least one pin published on your actual blogpost or your product page. Publish the full-size Pinterest shaped image (700 pixels wide by 1100 pixels tall) and resize the image inside of your page to what looks good; this allows the readers on your site to see a smaller version, but when it gets pinned, the full-size image gets pinned to Pinterest. There's a WP plugin called The Pinterest Pin It plugin, that shows a little "Pin It" icon when users hover over your pictures. Pinterest users know that little red "P" and know that they can click on it and pin it to the board. You want to pin the image to your own board through that functionality once you publish your site, too. A pin is an image that is usually represented as a rectangular vertical image. It is shaped to fit smartphone screens in their vertical position.The ideal size for a pin is 1100 pixels tall x 700 pixels wide. Infographics are popular on Pinterest as well and are often larger than the standard Pinterest size, but it is best to keep the same ratio of height x width, so your infographics still display cleanly in the Pinterest ecosystem. As a normal Pinterest user (meaning a non-business account), you can upload those pins to Pinterest and choose a page on your site for that pin to link to.If you have your Pinterest account verified as a business account (which I highly recommend you do), your new pin will display your metadata from the page or post that the image is pinnedfrom. The 'metadata' is your post title and description that shows up in Google search results.This means that your SEO optimized blog post title and description will show up on Pinterest giving you more 'real estate' in the user's browser. It is also adding more relevant text for Pinterest's search engine algorithm and adds more compelling text which is increasing the likelihood of the user re-pinning or clicking through to your site. Being business verified and leveraging the power of rich pins is essential for Pinterest marketing, so be sure to get your account verified. After you successfully publish your first pin from your newly publishedpost, you have the option to create additional pins for that blog post, too.I have my designer create up to 10 more pins for each blog post. We then upload these additionalpinsdirectly to Pinterest. Ideally, you should schedule these additional pins to be published to Pinterest over time so that your Pinterest account isn't clogged with ten pins for the same post in one day.I prefer to schedule out pins, so they are dripped out throughout weeks or months. We will talk about the automation tools to automate that process, later in this post. The main point for you to understand here is that you can add more doors from Pinterest to your main piece of content.Each pin becomes a backlink that you get through Pinterest; but you also see individual doors with different components of that article so when people are using Pinterest as a search engine, they're able to find your content. So, publishing more than one pin per post helps you on Google and helps you on Pinterest, too. Pinterest's unique selling proposition is that they are the world's largest search engine for images. This means you need to understand how their algorithm associates relevance from the keywords searched in their search engine with the results display. This way you can be sure your pins are displayed when someone executes a relevant search to your content. Most of the information Pinterest displays and relies on for building its search engine results is pulled from your 'rich pin' text that comes from your site's meta-data.As long as you are doing basic keyword research on your content and you are including relevant and keyword rich titles and descriptions on your blog posts, then your pins should be well optimized already. In addition to the metadata from your post, you can use one or two relevant hashtags when you publish your pins, too. Hashtags are not a core part of the user experience on Pinterest, however. If you plan to promote your pins with pay per click Pinterest advertising, then you should only use one hashtag. Pinterest indexes the search results based on your description, your rich pin, and also your caption that you type into Pinterest. You need to be sure that your captions are compelling so that you get the click, but also keyword-rich, so they get displayed for relevant searches. At this point, you have your business verified Pinterest account, you've got your core boards setup, and your website is configured with SEO metadata and a Pinterest plugin, so you and your visitors can 'pin' your images from your site to your Pinterest boards. The next step is to add ten relevant pins to each board just to populate them with relevant content.This step simply means you need to fill out your account so that when a user looks at your profile and boards, they can clearly see you are a real Pinterest user.You don't want to appear as someone who is simply publishing links to your content only. This will also give you more experience in the Pinterest user interface with their app so that you can become more confident on their platform. You can use your own pins and mix in other people's pins by repinning them as long as they are relevant to the board. I highly recommend that all your pins have a similar look and feel that reinforce your brand image.It is best to use the colors and fonts that correspond with your brand and your website, so people can become familiar with your content and will 'recognize' your content on Pinterest. If graphics are not your strong point, you have two options on how to create your pins.First, if you have a budget to work with, finding a graphics designer with Pinterest experience is a great way to make sure you are publishing high-quality content that Pinterest users will respond to.I recommend UpWork.com, Fiverr.com, and OnlineJobs.ph to find designers who are budget friendly. Now, before you go off and leave me a comment about how you aren't a graphics designer, you should go and give Canva a try first! Canva is easy to use, web-based software that has a huge database of free templates you can modify for your brand and content. If there is an easy-button for social media marketing content, it is Canva,and it takes seconds to make a good looking Pinterest pin based on one of their templates!The goal when creating your pins over time is to create a few styles that may have small changes in colors, text, etc... But the 'look & feel' should be noticeably similar. This way, when someone on Pinterest finds your content and follows you... They can recognize your future pins in their Pinterest feed when they load the app, getting you more exposure, engagement, and traffic. A quick note here...If you decide to use Fiverr or Upwork to find a graphics person, only hire people who have great reviews and a large number of jobs performed.It can take a few hires to find the right person for you. But, once you have a designer who can work well with you and help you express your brand visually through social media content, you have a real asset for your team,and their efforts can reach far beyond Pinterest. Board Booster is the only Pinterest automation tool we use.Board Booster allows you to create secret boards that you fill up with pins and it can then publish these pins from the hidden board to your public boards based on a schedule you set up; this is called a 'campaign' in Board Booster. One of the key benefits of this tool and functionality is that you can batch your work in queuing up all your Pinterest marketing; this way you can spend an hour or two per week and have consistent, ongoing updates to your Pinterest account throughout the week or even multiple times per day! Pinterest prioritizes what is new, fresh and hot; therefore, Pinterest scheduling allows pins to be published throughout the week and it consistently puts that new content out there for you every day. Pinterest also continually triggers their algorithm to display your pins.This saves you a lot of time and removes a huge amount of distraction, so you don't have to go to Pinterest 3 or 4 times per day. Your goal is to have Board A, Board B and Board C populated with new pins five times per day, seven days per week.You go inside Pinterest and setup a secret board that is correlated to each of the other boards. You then put a dash before the name on the secret boards. You create secret boards that match the above boards named -Board A, -Board B, -Board C.Obviously, you want your boards named something relevant to your target audience and the keywords they search; this is just a very simple example. At this point, every single board that you're going to be continuing to grow in an automated manner with pins has a secret version of it so only you can see it. You name it the same thing with a "-" in front. For my 'Facebook Advertising' board, I have '-Facebook Advertising' as a secret board, for example. I go into Pinterest one afternoon per week and fill the '-Facebook Advertising' board with 100+ pins. Everyday, Board Booster pulls a pin from the -Facebook Advertising secret board and moves it to the public 'Facebook Advertising' board on the schedule I pre-determine which is about 10 per day on this particular board. If I add 100 pins to the secret board that acts as my queue, then Board Booster is moving 10 per day to the public board (one every 2.4 hours), and I have effectively scheduled out ten days’ worth of 'Pinterest marketing' for that board in one sitting! Make sense? It is super simple. The one limitation on your Pinterest scheduling is that you have to fill up your secret boards in order because Board Booster doesn't have a shuffle feature. Keep that in mind as you populate your secret board. Rather than creating ten pins for one blog post and adding them all consecutively, you can also go through and create one pin for ten different blog posts. Doing so gives your marketing a bit more variety for users on Pinterest, and it keeps your automated marketing on Pinterest looking as natural as possible. The next powerful feature in Board Booster is their looping feature.In addition to scheduling your campaign, you want to use Board Booster's looping function that re-posts your old pins as new, to get them more exposure.This is all customizable, and right now I have looping set to re-post five pins throughout the day. Now, this is running on a board that has hundreds of posts. The looping feature is going to my oldest pins in that board five times per day, and repinning them to the top of the board.After two days, Board Booster will automatically delete whichever one of the two duplicated pins has the least amount of repins or engagement.So, the looping feature is another way to increase your frequency of pinning which is important, without requiring more work for you and this gives your Pinterest marketing content a longer shelf life which is important. As you add more new blog posts, each getting ten pins, those ten pins all get looped over time giving you even more 'leverage' and longevity with your Pinterest marketing efforts.If you're going to use this looping strategy, be sure that all of your pins are evergreen! Don't put up a bunch of pins like "Special Sale For January 2017!" The pin and content for the looping feature to work needs to be more evergreen, meaning it is relevant all year long.If you have date-specific content and pins, you probably want to go in and manually delete those pins once they are no longer relevant. #ProTip - you can change the shape of any images you do not want to participate in the 'looping' feature. BB would know not to repost those because you can loop all sizes or only rectangular loop sizes.Making your non-loop pins square and setting the looping feature to only loop rectangular sizes will help you manage the looped and non-looped pins more effectively! Pinterest has group boards that allow multiple contributors or pinners to add pins and often, these group boards will have large audiences of relevant individuals to your niche and offer you a great opportunity to expand your reach on Pinterest, fast! Simply stated, you can become a contributor to these boards and pin your content to the boards to get your content in front of larger audiences. However, there is some etiquette here that is important to keep in mind, so you don't come off as a spammer, and you are able to automate the group board pinning, too! We will cover all of that, now. First off, the best tool to find group boards to apply to is Pingroupie.com. This free tool allows you to search for group boards based on topics that are of interest to your target market.The first step here is research and then find the group boards and topicsthat are most relevant to your target audience. If your ultimate niche is outdoor gear, then you probably have a lot of options for group boards like camping, hiking, mountain biking, running, etc.Group boards are started by one person,and they invite other 'pinners' to collaborate on the board. Getting added to a group board allows you to pin your content to aboard that maybe already has 20,000 followers and doing soincreases the number of people that are going to see your pins (which are doorways to your content), right away. Pingroupie allows you to search Pinterest and find boards and it will show you how many followers and collaborators they have.You will then want to click on the group board title to look at the board and its content. At this point, you are looking for relevant pins that are highly engaging. You can tell a pin's engagement by looking at the number of re-pins it has. This information is displayed in gray to the right of the title, below the pin. You will see a little push-pin icon and a number. You are looking for boards that have pins with a high number of re-pins compared to the overall number of board followers.This ratio of repins to board followers will be different for every niche. You are simply comparing the group boards you find with each other to try and find the most engaged group boards and not just the group boards with the most followers. For example, I was added as a contributor to a group board that has 100,000 followers,but it has so many different people pinning all the time that nothing really gets repinned and the engagement is very low. This board is not worth the effort. On the other hand, I'm getting far better results from much smaller group boards with 500 - 2500 followers where the members and the audience are much more engaged. The key takeaway here, worth restating is thatengagement is more important than the number of followers a board has!Another important note here is that Pingroupie is not the only way to find group boards! As you are browsing Pinterest, looking at different boards, you can tell a group board from other boards because there are multiple Pinterest user images to the right of the board name.This signifies a group board,and some of the best group boards are not listed on Pingroupie!Ideally, you want to join three hyper-relevant group boards with high engagement to start this phase of your Pinterest marketing efforts. Find a group board, find who in that group board is actively pinning, and then look at their profile and their boards for other group boards to identify additional hyper-relevant group boards that your content would just be a perfect fit for. Next, follow the group board owner and follow the group board.Then, reach out to the group owner of the group board you want to join and ask them to invite you to be part of the group board.You can tell who the group board owner is, two ways. First, their user ID is in the URL of the group board. Secondly, their image is posted first, next to the board title. The admin of the group board generally puts a little note with instructions in the bio on how to request to be added. So, follow their instructions!If they say to "email them at this address" do that!If they say, "Comment on their most recent post" or "Message them" do that! If you are already following the board and following the admin, it makes that super easy for them to add you! So be sure to follow them and the group board first!Once you are able to publish to a group board, you have to focus on giving value to the group board. The admins are going to remove you as a contributor in an instant if you spam the group board!And remember, what you think is spam and what they think is spam may be VERY different, so tread lightly at first! Stay focused on being of service to the audience and sharing the best of the best of your great content that will help them, and you will succeed with this method.The goal of this entire Pinterest marketing strategy is to be of service and give your unique content to this kind of captive audience there on this board! The goal here is not to 'get' anything from the board! Instead, you want to be seen as a positive contributor,so you get long-term access to the group. Pinterest marketing is a 'slow and steady' method. One other note about reaching out to group boards; you really want to have your Pinterest profile and your boards set up before you start reaching out to these group administrators!They are going to look at your profile and content to avoid spammers and to be sure you are pinning high quality and relevant content! Become a product of the product. Use Pinterest and grow your boards then really focus on giving value to those groups and that becomes your content marketing strategy! Once you're on the board, you’re going to use the same looping functionality of Board Booster you learned about aboveto loop the post you've already published to your board. If you have a few different boards that are relevant to the group board, then you can loop multiple boards to one group, too!It is important to keep focused on relevance here instead of how much you can push to the group board. Be sure you are within their recommendation when you set the frequency in Board Booster. Then, check back in a day, again in 2 days and again in a week and reallyjust monitor to make sure that your content is coming out at a frequency in balance with the other group members. The goal is not to take over the group board! Your goal is to be a part of the board as an active contributor and to be integrated into the group in a more balanced fashion. When you check back at the one day, twodays and seven day intervals, you should see that you have a pin pinned and other people should have pins pinned in between your pins. If you go back and you see your pins pinned multiple times in a row, you are potentially close to getting booted! They probably won’t notify you before they boot you either, by the way. Instead, they will just remove you from the group if you are overwhelming their audience!So, if you see multiple of your pins in a row, you may want to consider decreasing the frequency of your posts. Even if they say five pins a day are ok, but you see that you are pinning twice as much as everyone else, you should still cut your frequency down to 2 or 3 and continue to monitor it. In the Board Booster looping feature, you also want to set the campaign up to loop at intervals between 8am and midnight, so it's spreading all your posts evenly throughout the day. Doing so also gives other contributors a chance to pin in between! Finally, starting your own group board is a great way to give back to the Pinterest community and get others helping you grow an audience that you are in charge of. With time and persistence, there's a good chance that your group board will take off and grow at a faster rate than your personal Pinterest profile.This way, your group board is going to increase the visibility of your profile even when other users’ pins are the ones that go viral because the pins originate from your group. And most importantly, having your own group board puts you in full control! An important consideration to keep in mind is that most Pinterest users are on mobile devices. When a user clicks on a link from the Pinterest app, it loads the page on a Pinterest browser that may work differently than their phone's browser like Chrome, Safari, or Internet Explorer! You need to make sure your website has either a ribbon, a fly in, or a popup that displays in the Pinterest mobile browser and offers your website visitors access to your free giveaway, or opt-in. If you don't know what these are it's all available inside of Thrive themes which is what I use to manage my website and build my list.This site is on Thrive,and you probably saw at least a pop up while reading this post! The reason I’m mentioning the need for you to have your website be mobile friendly and to test it on the Pinterest browser is when we first laid out this plan to our friends in New Zealand, they were saying "I’m not getting any opt-ins?!?!" That day he added the functionality to his site and instantly began experiencing opt-insand within a few months, they began experiencing 300-400 new opt-ins per month from that point on. The moral of that story? Be sure to test your pins and your website by clicking through on your own phone with the Pinterest app. You always want to make sure that the user experience on your site is solid. You also want to be sure that users can enter your marketing funnel easily. Make sure that your opt-in mechanism on your website functions inside of the Pinterest browser because most Pinterest users are in the Pinterest app on mobile or a tablet.And, if your website is not loading well on the Pinterest native browser, then it’s probably not loading well in the Facebook native browser either. Therefore, you can see that being mobile friendly is a vital key to success when it comes to social media platforms and marketing! Also, when you get the Pinterest app on your phone, it makes repinning other content to your secret boards very easy!There is a Chrome browser extension available, so if you're browsing around the internet and there is an article you like, you can pin it with the browser extension in just one click. So even if someone doesn't have a Pinterest plugin or functionality on their website, you can still pin their images!Also, when you upload a pin directly from your browser, it adds your default web address, usually your homepage so that after you upload an image as a pin, you can edit it and then put in the deep link which is the most relevant link back to your website. As of early 2017, Pinterest changed their policies,and you can now publish pins that link directly to Amazon affiliate links.This means that you can promote products that are for sale on Amazon with your affiliate links. Remember that after you pin it, you need to go in and edit the pin and change the link to your Amazon affiliate link! When you pin from your website, you don't have to worry about modifying this link.But, if you're uploading additional pins that aren't images on your site, then you need to click edit and then change the URL to the specific deep link that you want; not the homepage. Board Booster offers a free trial for you to get started. Also, you only pay for all the repins you've used, so it is not a 'monthly' fee, but more of a 'pay as you go' setup. I really appreciate that.If you have a smaller frequency of automation using Board Booster, you don't pay as much! When you finish the free trial, Board Booster works on credits per month, so you needcredits to keep your automation working.Each credit costs a penny and 500 credits per month is just $5.You use a credit each time a pin is looped or scheduled,so it is comparably priced with any other Pinterest scheduler. The key thing to remember here is that most other schedulers don't have the looping feature and they don't allow you to automate the pinning to group boards which is really the power behind this Pinterest marketing method. Being a real person on Pinterest is good. Don't just keyword stuff and spam out images. On Pinterest, quality matters and your goal is to make real connections with real people through your content. Whenever we talk about 'automation' for social media marketing, people often forget that the goal is to still be 'real' on social media platforms. Leverage some tools (in this case Board Booster) to allow you to batch your work and prepare a week's worth of pins in an hour or two; this allows you to be more consistent with your Pinterest marketing over time. However, keep in mind that this is not permission to spam Pinterest because, as you know, consistent efforts focused on giving value over long periods of time creates MASSIVE results! Thanks for this great post Miles. I'm still learning the tips and trick on Pinterest. I'm going to start implementing your strategies on Pinterest. Right on! I'm confident you will enjoy the power of this system once it is all setup! Thank you, Miles! As always, you once again have delivered very valuable and actionable content. Keep on being awesome Miles. You are the best! Right on Dean... Glad you are getting value from the content! Hi miles , I have gone through your videos and I got inspired. I tried to reach u through face book . can you please check you inbox. Ben, I have nearly 600 message requests on Facebook... I can't get through them all and have stopped trying. Sorry mate. Every single time I sit down to research something.. you guys pop up with the answers!! THANKS! So around 14mins40 seconds Mel talks about adding a pintrest size image to your/my product pages.. all of the images on my website are square and stylistically I really like the way this looks. Do you think it's super important to add in a pintrest sized/shaped image (1200x700).. is this a step I would be silly to miss? Interested to hear your thoughts here..
At a minimum, make properly sized Pinterest images for Pinterest... I do think Pinterest users notice that pin shaped image and are more likely to pin an image from your site to their board if it is shaped right, but that may be a small % and not worth re-designing your pages for. So just be sure when you publish to Pinterest the content is shaped to fit natively on that platform. Right on Sara... Good call moving to WordPress! That plus the Yoast plugin and a keen focus on keywords and you are golden. Then the trick is really putting out world class content to answer the questions of the keyword searchers... For a sustained period of time. Glad you've found the content helpful! How do I subscribe to your blog so I get emailed updates? Hi Miles, great content! nice post..just one question..i got stuck on this statement: So rather than creating 10 pins for one blog post and adding them all consecutively… Go through and create one pin for 10 different blog posts. Do you mean creating 10 pins for 10 diff blog posts? A bit nitpicky I know, just wanted to make sure I'm following..thanks! Happy to clarify... So the tool publishes your pins in the order you upload... And we want to prevent our boards from getting 10 pins for 1 post in a row as that would be pointless. Say you have 3 posts... A, B and C. You want to do the 10 pins for each... You with me? Now we have like 300 posts, so by the time we create 1 new pin for all our posts, we rotate back to the first and it feels 'new' to our Pinterest followers! >As of early 2017, Pinterest changed their policies and you can now publish pins that link directly to Amazon affiliate links. Do you happen to know for sure whether or not this is against the Amazon Affiliate rules? I've tried to read and understand them, and if I remember correctly there was some bit about not using affiliate links on sites you don't own or something like that. I have not read the Amazon Associates rules or attempted to interpret them in this light, no. Two weeks ago I knew nothing about selling online. I now know I have to trawl through a whole load of garbage articles to find one as helpful and informative as this one. Thank You. You learned how to execute rubbish comment spam in a short time, then! Hi Miles, the part where you said to create your own pins. I do not have a blog, i sell vintage clothing from the Etsy.com platform and they have a pin button for each item i upload to my site, would that be my way of creating my own pins or do I need to make another pin created from canva.com ? featuring a picture of a piece of clothing from my etsy website... Thanks!